Long before Conor McGregor lobbied for his chance to face Floyd Mayweather — which he may actually get to do — Anderson Silva repeatedly asked for a boxing match against his longtime idol, Roy Jones Jr. But “The Spider” isn’t giving up hope, as he stated during yesterday’s (Tues., April 11, 2017) UFC 212 press conference that he still hopes to mix it up with one of the best to ever step foot inside the boxing ring. And since UFC is now more open-minded, as evidenced by the promotion’s willingness to let “Notorious” throw down against “Money,” Silva says now is as good as time as ever. 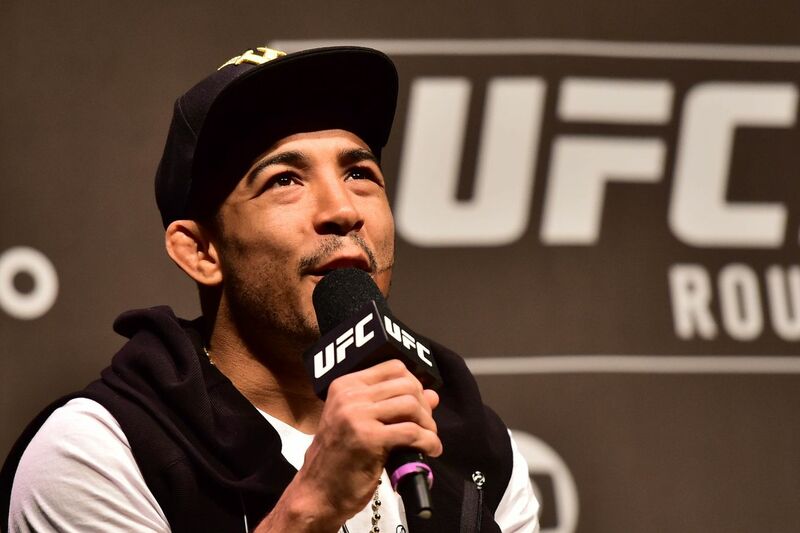 Silva’s request then prompted current Featherweight champion, Jose Aldo — who may or may not have been joking — to throw his name in the ring, too, as he stated he wouldn’t mind getting into the boxing arena on the same event, perhaps against Miguel Cotto. While we’re at it, we can go ahead and throw Jimi Manuwa vs. David Haye on the card, as well. See what you started, Conor?